These General Skilled Migration Visas are widely regarded as the most appealing visas available to Australia. The Skilled Independent (Subclass 189) and Skilled State Nominated (Subclass 190) are permanent visas that allow you to remain in Australia indefinitely and have unlimited work rights. The Skilled Regional Visa (489), is a provisional visa that leads to Permanent Residency. To be able to apply for these visas, you must first pass a skills assessment and points test. The points test measures how desirable you are to the Australian Government by measuring such things as your age, education, work experience and English. Please note before submitting an expression of interest, applicants must first obtain a full skills assessment from the relevant assessing authority. Here’s a simplified process for General Skilled Migration. In case of questions, don’t hesitate to reach out to us. Before you submit Expression of Interest (EOI) make sure you’re eligible for The Skilled Migration Program by taking the Points Test. To apply for Skilled Independent or Skilled Nominated visa, you are required to submit an Expression Of Interest (EOI) through SkillSelect. Once you have submitted an EOI you can then be invited by the Australian government, Australian employers or state governments to apply for the skilled visa. After receiving an invitation to apply for the visa from the DIBP, you will have 60 days to lodge a visa application. Without an invitation you are not eligible to apply. The Points Test is one of the first steps to applying for most General Skilled Migration (subclass 189, 190 or 489) Visas. What is Skilled Independent visa subclass 189? Skilled Independent (Subclass 189) is by far the most common Skilled Migration Visa. It allows foreign nationals who are successfully granted a Skilled Independent Visa permanent residency in Australia. You can learn more about this visa subclass from the General Skilled Migration Visa page. What is Skilled State Nominated visa subclass 190? This visa allows skilled workers who are nominated by an Australian state or territory government to live and work in Australia as a permanent resident. This may be a great option if you don’t have enough points for the skilled independent option. You can learn more about this visa subclass from the General Skilled Migration Visa page. How to get State or Regional Area Nomination? who is sponsored by a family member and the sponsorship has been accepted. Where can I find more information on the State and Regional Nomination? Points are awarded under the age of the applicant’s at the time of invitation. It is not the time you submit your expression of interest. It is the time you are invited to apply for the visa. Why you receive points based on your age? The points awarded for age reflect the applicant’s potential contribution to the Australian economy in their lifetime. This reflects the focus of the points test on labour market contribution and the balance between the future contribution to the economy of points tested migrants and the average welfare and health costs as they age. Australian Bureau of Statistics data and departmental research indicates that highly skilled migrants who come to Australia between the ages of 25 and 32 add the most benefit to the Australian economy in terms of lifetime earnings. The maximum age threshold for applicants is under 45. This recognises that in many professions, workers do not reach their full potential until their mid to late 40s, and that significant work experience is a key factor in determining a skilled migrant’s labour market performance. Why is the minimum requirement for General Skilled Migration? Research indicates that migrants with higher levels of English language proficiency (ability) have a better chance of finding skilled employment and settling into the Australian community. For this reason, applicants for skilled migration are required to demonstrate that they have good English language skills and additional points are awarded to applicants with strong English language skills. It is a requirement for general skilled migration visas that the primary applicant had competent English at the time of invitation. In addition, all invited applicants are eligible for the award of points for higher levels of English ability. The English ability definitions in regulations require the applicant to have undertaken their language test, in which they achieved the specified score, in the 3 years immediately before the day on which the invitation was issued to the SkillSelect applicant. What's needed to prove you have competent English? Applicants using an IELTS result to demonstrate they have proficient English must have scored a minimum of 6.0 for each of the four components of an IELTS test. For example, an applicant cannot seek to use the speaking and listening results from one test, the writing results from another and the reading results from yet another test to demonstrate they have competent English. What's needed to prove you have proficient English? Applicants seeking to demonstrate English ability using OET results can use one or more tests to demonstrate that they have achieved a score at least "B" in each of the four components of an OET. However, each test in which the applicant achieved the specified score must have been undertaken in the 3 years immediately before the day the invitation was issued to the SkillSelect applicant. What's needed to prove you have superior English? Applicants using an IELTS result to demonstrate they have superior English must have scored a minimum of 8.0 for each of the four components of an IELTS test. For example, an applicant cannot seek to use the speaking and listening results from one test, the writing results from another and the reading results from yet another test to demonstrate they have superior English. Applicants seeking to demonstrate English ability using OET results can use one or more tests to demonstrate that they have achieved a score at least "A" in each of the four components of an OET. However, each test in which the applicant achieved the specified score must have been undertaken in the 3 years immediately before the day the invitation was issued to the SkillSelect applicant. Applicants are eligible for points for the highest level of qualification awarded by either an Australian or an international educational that is recognized in Australia. You can only receive points for your highest level of education. In order to encourage applicants to study in Australia, applicants can receive more points if they have studied in Australia. Applicants are eligible for extra 5 points if they have met the Australian study requirement. Applicants are also eligible for extra 5 points if they have met the Australian study requirement while living and studying at an Australian educational institution in a regional area. What are the educational factor points? Applicants are eligible for points for the highest level of qualification awarded by either an Australian or other educational institution at the time of invitation and which is of a recognised standard. The awarding of points recognises the correlation between the level of qualification attained by an applicant and the potential for success in the Australian labour market, in terms of obtaining skilled employment and higher salaries. To obtain points for this factor, an applicant’s educational qualification does not have to be related to their nominated skilled occupation, as the awarding of points reflects the value of higher learning and its contribution to human capital. Decision makers award points to an applicant for the highest level of eligible qualification attained. You can not be awarded points for more than one qualification. For example, if an applicant presents evidence of having attained a doctoral qualification and a bachelor level qualification, decision makers must first consider the doctorate for the purpose of awarding points. If eligible for points for the doctorate qualification, the applicant will not be able to also claim points for another educational qualification. If an applicant’s highest level educational qualification (including qualification at a doctorate level) is not related to the nominated or closely related occupation, the applicant can have their qualification assessed by VETASSESS as to the comparability of their qualification to Australian standards for the purpose of awarding points. Decision makers must have regard to any opinion provided by VETASSESS on an applicant’s qualification (as this is ‘any other relevant matter’ they must have regard to in determining whether an educational qualification is of a recognised standard. If neither the relevant assessing authority nor VETASSESS has provided an opinion on an applicant’s qualifications, case officers must assess the qualification claims presented by the applicant. In such scenarios case officers should take into consideration any relevant information that is available to them, including information available on Country Education Profiles, advice from AEI - NOOSR and any other relevant evidence provided by the applicant. Applicants who met the requirements for the award of at least a bachelor qualification by an Australian educational institution or by another educational institution that is of a recognised standard, are eligible for points. The bachelor qualification or other qualification does not have to be related to the applicant’s nominated occupation. In determining whether an applicant’s qualification has met the requirements for the awarding of points for ‘at least a bachelor qualification’, a case officer must have regard to the recognition given to the qualification by the relevant assessing authority. For example, an applicant with 3 years Diploma in Nursing from the United Kingdom is generally recognised by the relevant assessing authority (the Australian Nursing and Midwifery Council) as having obtained a qualification of comparable standard to an Australian bachelor qualification. Case officers must have regard to the opinion of the assessing authority in determining whether to award points. Case officers may also be presented with claims of a masters qualifications either attained at a tertiary institution in Australia or outside Australia for the purpose of gaining points. To be eligible for 15 points, the masters degree holder must have also completed a bachelor qualification either in Australia or outside Australia. Persons with a masters qualification who have not completed a bachelor qualification will only be able to claim 10 points unless the relevant assessing authority provides an opinion that the masters degree of itself is at least comparable to an Australian bachelor degree. In the absence of such an opinion, case officers should also refer to Country Education Profiles when assessing whether a masters qualification is at least comparable to an Australian bachelor degree. Applicants who met the requirements for the award of a diploma by an Australian educational institution are eligible for points. Diploma means an associate diploma, advanced diploma or a diploma, within the meaning of the Register of Australian Tertiary Education that is awarded by a body authorised to award diplomas of those kinds or a diploma, or advanced diploma, under the Australian Qualification Framework, that is awarded by a body authorised to award diplomas of those kind. that is required by State/Territory industrial training legislation or a relevant Federal, State/Territory industrial award and involves part-time formal training at a technical college or a college of technical and further education, and employment within the meaning of a Commonwealth, State/Territory industrial award or a qualification under the Australian Qualifications Framework of at least the Certificate III level for a skilled occupation in Major Group IV or III in the ANZSCO. In addition to the formal qualifications specified above, applicants who attained a qualification or award recognised by the relevant assessing authority for the applicant’s nominated skilled occupation as being suitable for the occupation are eligible for points. This provides for applicants who have attained other recognised educational qualifications to be appropriately awarded points. Such scenarios are likely to arise in trade occupations for which an applicant may have an award or qualification that is not eligible to be awarded points. In such cases, the relevant assessing authority, such as the TRA, may provide an opinion that the award or qualification, together with the applicant’s relevant on the job training, is comparable to an Australian trade level qualification. In certain instances, a relevant assessing authority may include additional criteria such as the successful outcome in a written exam, to recognise an applicant’s qualification for the purpose of awarding points. For further clarification of what constitutes a doctorate, refer to the Australian Qualifications Framework website. How many points you receive for meeting the Australian Study requirement? Applicants are eligible for 5 points if they have met the Australian study requirement. the first is that the visa applicant has completed at least 2 academic years of study in Australia, giving them the benefit of having completed a significant amount of study at a local institution and being awarded a qualification that Australian employers recognise and value. the second is that 16 calendar months is the minimum period applicants need to have been physically in Australia while studying. This allows them an opportunity to develop a familiarity with Australian conditions and culture, thereby improving their settlement prospects and their chances of securing skilled employment. It does not require the eligible Australian study being claimed to be relevant to the applicant’s nominated occupation. Nor is it relevant when the study was completed, provided the applicant met it at the time of invitation. Study undertaken in Australia for the purposes of meeting the Australian study requirement and being awarded points will only be considered if, throughout the relevant period, the applicant held a substantive visa or an applicable bridging visa that allowed them to study, and they complied with the conditions of that visa. The points awarded for study in regional Australia or a low-population growth metropolitan area (LPGMA) recognise the important contribution migrants make to regional Australia. Awarding points is intended to encourage permanent settlement in regional Australia and some metropolitan areas with low population growth rates. The postcodes that constitute regional and LPGMA and the institutions that fall within those postcodes are specified here (IMMI 12/015). Applicants are eligible for 5 points if they have met the Australian study requirement while living and studying at an Australian educational institution in a regional area. You do not require that the eligible Australian study being claimed, must be relevant to the applicant’s nominated occupation. Nor is it relevant when the study was completed, provided it was prior to the date of invitation to apply for the visa. whether the study is closely related to the applicant’s nominated skilled occupation. 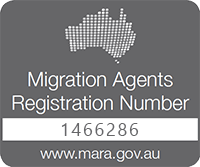 "Regional Australia" differs from the concept of designated areas for skilled migration sponsorship purposes and from those identified for Regional Sponsored Migration Scheme purposes. For the location of the campus at which study was undertaken or for where the applicant lived. the postcodes are specified in an instrument in writing (IMMI 12/015). The postcodes include all postcodes within South Australia and Tasmania. To confirm that the study component for this factor was completed in regional Australia, decision makers should refer to the academic transcript or letter of course completion. To confirm the residence component, applicants should provide supporting documentation with their application such as, but not limited to, copies of rental agreements, telephone bills, or electricity/water/gas bills. Applicants receive points for work experience in a relevant occupation. You can only receive points for work experience once they have met the skill level required by the Skills Assessor. For example in most instances applicants can only receive points for experience once they have completed their qualification. The awarding of points for skilled employment factors recognises the benefits of extensive work experience in a nominated skilled occupation or a closely related skilled occupation in providing for successful labour market outcomes. Relevant Australian and overseas skilled employment in the 10 year period immediately before the date the applicant was invited to apply for this visa can be considered for the purpose of awarding points. The higher weighting of points able to be awarded for Australian skilled employment recognises the value that firsthand experience and understanding of the Australian work environment can have in assisting migrants to establish themselves in the Australian labour market and settle into life in Australia. Periods of employment do not have to be continuous as it is the aggregated period of relevant employment experience that will be considered. Therefore, applicants can be eligible for points if their relevant skilled employment is interspersed by periods of non-related employment or other activities such as study. For example, if prior to applying for their points tested skilled migration visa an applicant whose nominated skilled occupation is Accountant works for 2 years as an Accountant, then undertakes postgraduate studies for 2 years, then works as an IT consultant for 2 years, then works as an Accountant for a further 3 years, the applicant would be eligible for points based on their 5 years employment experience as an Accountant (if the applicant's relevant employment took place in the 10 years immediately before the time when the applicant was invited to apply for the visa). Applicants may also be eligible for points for the employment factor if they have both Australian and overseas skilled employment experience. For example, if prior to applying for their points tested skilled migration visa an applicant whose nominated occupation is assessed as a registered nurse works overseas for 5 years as a registered nurse then works in Australia on a temporary employment visa for 3 years as a registered nurse, the applicant would be eligible for points based on their 5 years' overseas employment as well as their 3 years' Australian employment experience. However, it is not possible for applicants to combine shorter periods of skilled employment gained while working in and outside Australia in order to meet one of the Australian or overseas skilled employment experience factors. For example, an applicant cannot claim 3 years' Australian employment by adding together 6 months' overseas employment experience and 30 months' Australian employment experience. involve duties at the level of depth and complexity expected in Australia. If the relevant assessing authority has not provided an opinion on skilled employment and there are no standards set by the relevant assessing authority available in the public domain, decision makers should refer to guidance in the Australian and New Zealand Standard Classification of Occupations (ANZSCO) when assessing the applicants' skilled employment claims. If a skills assessment provides a date at which the assessing authority is of the view that the applicant became suitably skilled for awarding employment points, the department will consider only employment undertaken from that date as meeting the skilled employment experience criteria. For example, if an applicant has obtained a skilled employment opinion from Australian Computing Society (ACS), they should record in SkillSelect the periods of employment the ACS has determined are at the skilled level and eligible for being awarded points. The date on which an applicant becomes suitably skilled for employment experience points may be different from the date on which a relevant assessing authority assesses the person as suitable. For example, a relevant assessing authority may issue a suitable skills assessment on the basis of attainment of a tertiary qualification but may require a period of post qualification work experience before considering an applicant as suitably skilled for the purpose of employment points. If the applicant has made claims of skilled employment periods that are not considered by the assessing authority on the skills assessment, the department may refer to publicly available information set by the relevant assessing authority or ANZSCO in order to make a full assessment of the claims. This situation might arise if an applicant is claiming skills over a ten year period but the skills assessment states that it only assesses claims of work experience undertaken in the 5 years immediately prior to skills assessment. The work you undertake must be paid and you must work at least 20 hours per week. Decision makers should also be fair and reasonable when applying this provision in relation to applicants employed on a casual basis who, because of illness or other compelling and compassionate reasons, may have fallen short of the 20 hour benchmark for one or more weeks over the relevant period. To evidence claims, applicants may be asked to provide detailed evidence of their terms of employment and salary payments. As employment must be paid, only periods of leave on full pay may be counted as time during which an applicant was employed. That means those periods of extended leave without pay (for example, maternity or paternity leave) might not be counted as a period of employment. You may receive 5 extra points if your partner is skilled. had competent Englishat the time of invitation to apply for the visa. Applicants can receive additional points for completing a professional year. Professional Years can only be completed for accounting, engineering or computing occupations. The PY is a structured professional development program combining formal learning and workplace experience. As the focus is on developing skills that will assist applicants to secure employment, PY courses will not be specified without industry support. If an applicant has claimed PY points and their details are not included in the relevant list of PY graduates, decision makers should email the Independent Skilled mailbox for further assistance. Applicants may receive additional 5 points if they are an accredited translator and interpreter. The points test recognises the economic and social value to the Australian community of the contribution of accredited community language skills, particularly in the languages of Australia’s trading partners and of new and emerging, as well as established, communities in Australia. You will need to receive a score of at least 65 points to be able to submit an expression of interest through Skill Select. Congratulations you have reached at least 65 points and may be able to submit an expression of interest through Skill Select. You will need to receive a score of at least 65 points to be able to submit an expression of interest through Skill Select. Please note just reaching 65 points doesn’t guarantee you will receive the visa. Please be aware that before you can lodge a general skilled migration visa application you must first have a positive skills assessment in your nominated occupation. The points test is only part of the general skilled migration process. To clarify your eligibility and find out about the later steps contact Pathway to Aus for a consultation.